You might not realize it but there is a big chance that you have free money you never knew you even had. This might come as a surprise especially when you are in a tight spot and looking to raise some cash for debt payments. You might even meet some unexpected emergencies and find the need to rebuild a depleted bank account. Here are a few sources of free money you can tap into. 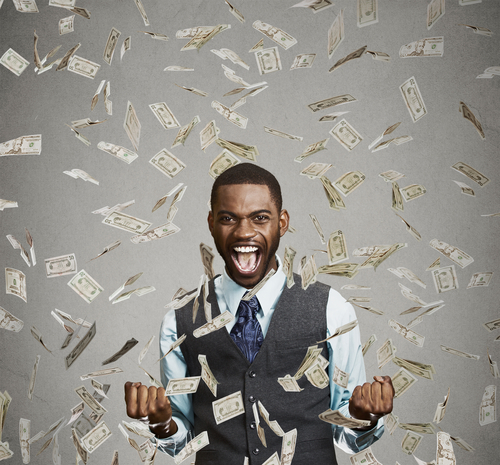 One of the places to get free money is when you receive your tax refund check. An argument can be made when other people point out that it is still your money. The government is just holding on to it without earning any interest. That is true but if you filed your taxes correctly, you would not be getting any refund in the first place. You could have used that money and made it grow through various investment products. However, tax refund is still considered windfall money by a lot of consumers because most people would rather overpay and get a return than underpay and be slapped with fines and penalties by the IRS. This thinking has led to people receiving refund checks every year. However, the IRS is sitting on a $1.4 billion in unclaimed tax refunds meant for 1.2M taxpayers. This refund is meant for the 2015 tax year. The problem is that people who are supposed to receive this refund did not file their taxes that year. People generally have three years to claim their refund which means people are losing time to claim that amount. One of the biggest reasons why that amount is uncollected is because people believe they do not have to file taxes having a small income. Also, they are afraid of penalties but they have to remember that the IRS does not impose penalties on late tax returns when they are due a refund check. Free money can also be found in the office when you look at your retirement planning. If your company offers a matching program for your 401(k) savings, it is a good idea to take advantage of it. This is actually one of the reasons for you to max out your contribution. It is because the more you save, the higher the contribution the company you work for can put in. One thing you need to understand with a matching program is that employers usually match a certain percentage of what you contribute towards your 401(k). Though there are some who choose to match your contribution with a dollar amount. Then you also have to remember that some employers do not offer this program. That being said, it is a good idea to check if your company has a matching program. If they do, you also need to review the vesting schedule they put on their matching contributions. You have to remember that whatever you save is yours but whatever your company puts in can be subjected this schedule. This dictates how much of your employer’s contribution you own based on your tenure. It is a good idea to know this schedule in case you want to leave the company in the near future. Another source of free money that you have not thought of are the items around your house. Take a look at the things that you are no longer using and sell them. The first step is to make a list of all these things that are just collecting dust in your house and gather them in one place. You can do away with items that are no longer usable but you can still sell some that might be of value to other people. This can be old exercise materials you are no longer using. Do you have a bike or a skateboard that are just in one corner of your garage? How about tools you no longer need? You could even have old shoes, garden sets, or cooking utensils that have not been used. You can join a yard sale or simply have one right in front of your own house. It is also a good idea to check out online options to sell used items. They can be a breeze and you do not have to go through the hassle of setting up a yard sale. One other advantage of selling used items is that you get to clean and declutter in your house. Doing so can also help you relax and feel better once you dispose of all the junk. One thing you have to keep in mind though is to sell only items you no longer need. You might be so tempted to get free money from selling used items that you let go of actual items you still need. This can be a problem because you can end up having to buy new ones which can be costly. There are a lot of students who are taking on student loans to get through higher education. As a result, Forbes shares that over 40 million borrowers have an average of $37,172 in student loan debts. This means that student loan debt has reached a high of $1.5 trillion in total debt. This is a big amount for graduates to shoulder once they graduate. One of the things you can do if you are about to start college or even post-graduate studies is to look for free money you can use to pay for the cost of attendance. You can check your university of choice what their scholarships are and if you qualify for any of them. There are also a number of grants you can look into to help you pay for higher education. There are Federal grants like the Federal Pell Grant, the Federal Supplemental Educational Opportunity Grant, and the Federal TEACH Grant. You can also look at State and Non-Government Grants you can look into to help you get free money for college. Remember though that there General grants which can be used by any student for any major or even university and there are specific types of grants. It can be either student, minority, degree, or even subject specific. What you can do is to research for these grants and scholarships to help you lower your reliance on student loans. When you think about free money, debt consolidation might not be something you will think about. However, consolidating your debt can help you get extra money every month. If you get to consolidate with a smaller interest rate, this can free up some much-needed funds in your budget. This can help you put that amount into debt payments or aggressively save for retirement. Frugality is synonymous to creativity where you try to live below your budget. This is a lifestyle you have to adopt which means you need to change a lot with the way you manage your money. For one, you need to identify several areas where you can cut costs from your budget. Are you still paying for that overpriced gym but rarely get to work-out? Maybe it is time to discontinue that and look for free workouts classes in the park. Are you used to ordering out food? You can try learning how to cook so you can prepare the meals for your family. You do not have to be a chef to feed your family good food. Start from basic meals and find out what your family likes to eat and start from there. You can then move forward to more variations and dishes in the future. It is surprising to find out that there are sources of free money around you that you never knew where there. You just have to be creative and know where your money to be able to tap on them.